BASIC Tuition Includes: camp shirt, daily snack and all camp supplies. CAST PHOTO **A fun group photo of the full cast of actors right before their show! CARPOOL: Please list all people that have permission to pick up your child. $100 fee for cancellations before April 1st. $25 Change Camp or Switching Fee. **I acknowledge that I have carefully reviewed and consent to the wavier set forth by Hope Musical Theatre. **Please enter your initials here to signify acceptance. We are looking for teens with HIGH ENERGY, a positive attitude, hard working and a real team player. Is this you? (Yes or No) Please explain what experience you have in using these qualities. What special skills or interests/hobbies do you have? What experience do you have working with younger children? Why do you want to be a CIT for HMT Summer Camp? Questions for HMT Summer Camp staff? 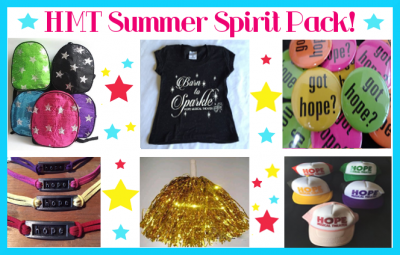 How did you hear about HMT Summer Camp? The CITs get a small feature performance in each show. What special skills could you add to this performance?